In 2012, a routine scan (after her first tachycardia heart attack while at work sent her to the ER) revealed she had superior mesenteric artery syndrome. A duodenojejunostomy was performed, and it was hoped she’d be able to resume a normal life. However, inappropriate sinus tachycardia (where the heart races inexplicably to 180-200 BPM with no cause or warning) led to more tests and medications. Her stomach was deemed dead and a full gastrectomy was performed. For the next year she was able to maintain weight through the use of a surgically implanted feeding tube. Last year, her intestinal tract shut down as well, and she is now reliant on IV feeds through a port. Though the issues plaguing her gastrointestinal tract closely resemble Crohn’s disease, those tests are negative. 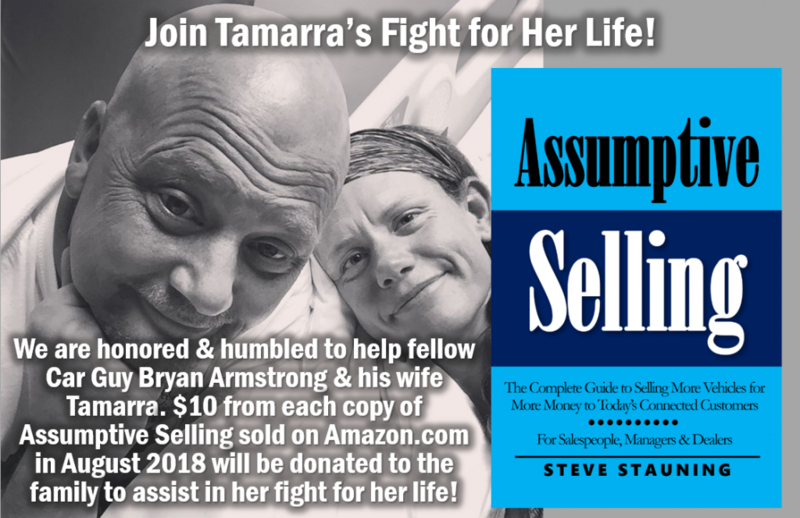 Tamarra and Bryan continue to hope for a diagnosis and even a cure, but the years of medical bills (the majority of which are not covered by insurance) has totally depleted the family’s funds. In 2006, Bryan and Tamarra began opening their home to foster children. Over the years, they’ve touched the lives of 23 children and successfully reunited 19 of those kids with their biological parents. Because Bryan works full time at a job that takes him out of the state every other week, the care and support of these children has fallen primarily on Tamarra’s shoulders.